Home Merkel V4 Report: Far left extremist Martin Schulz and Social Democrats only 4 points ahead of AfD. 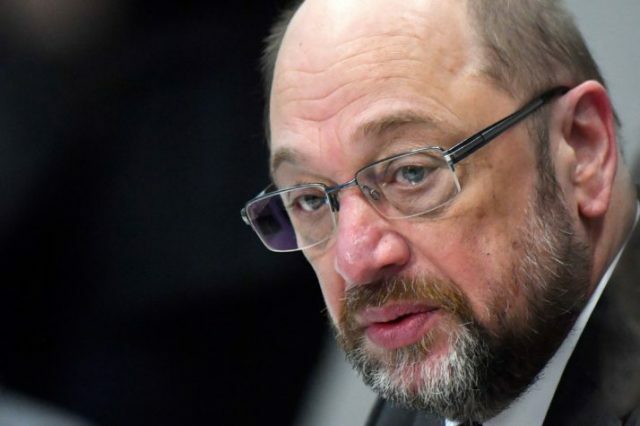 V4 Report: Far left extremist Martin Schulz and Social Democrats only 4 points ahead of AfD. SPD drops to new low in polls as it enters formal coalition talks with Angela Merkel’s so-called “conservative” bloc. The EU federalists, social democrats and the left continue to sink in Europe as the migrant crisis exposes their radical “core values” and beliefs. However, Germany has another problem – Merkel’s sister party called the CSU. By enabling Merkel, and thus maintaining their seats of power, they have become an obstacle to “real conservative” change in Germany. A 200,000 “flexible” cap on migrants is not a victory but a pathetic surrender. Horst Seehofer talks tough but always comes home to dance with Merkel. Meanwhile, EU opportunist Manfred Weber of the EPP has a personal interest in expanding the scope and power of Brussels. Weber, like many others, feeds off the system. His attack on Poland and support for Article 7 is designed to send a message to the nation states that it is Brussels (him) that holds the ultimate authority. Manfred is a lost cause. In order for Germany’s conservatives to take back their country, they must first take back their movement. Currently, the sisters of the CSU are Merkel’s family, not her opposition.